At Target today I got sucked in by some swim suit displays. BTW props to the people who do Target's marketing. You're geniuses. And we're putty in your hands. In the middle of February, you know that we are done, done, DONE, with winter. So you set up lots of lovely springy displays. Then, like moths to a flame we gravitate to all the things that we won't possibly need for another two months and shove them in our carts hoping to usher in sunshine and warmth with our compulsive buying. But I digress. Anyway. I ended up perusing the swimsuit selection. In February. And even more stunningly, I found a few pieces that were super cute and not cut for a size -2 prostitute. I had to try them on. 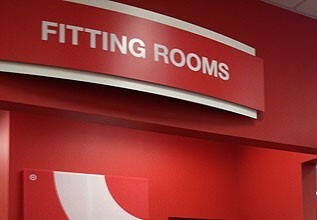 I ventured into the dressing rooms. After firmly ensconcing myself, my cart, and my kids in one of the red plastic closets I began to squeeze my unshaven, untanned self into the swim suits that I had chosen. My 6 year old daughter could not contain herself. Our conversation went something like this. "Why are your legs so fuzzy"
"Obviously because it's winter I didn't think I would be without my pants." "Does it hurt when you squeeze into that thing?" "No. But your voice is starting to hurt my head." "No really. Doesn't it hurt all your self?" "I mean doesn't your skin pinch?" "Concern noted. Move on please." "Should that part of you be pouffed out like that?" "Maybe you need a swim suit that has bigger parts on the bottom?" "I think you look like a beautiful mermaid that is holding her breath very much." "Really a lot of thanks." Nothing takes a woman down a peg like trying on swim suits with an honest child. And no amount of throat clearing and fake coughing could disguise the guffaws coming from the lady in the next cubicle.